On May 25, 2018, a new European Union (EU) data protection law, the General Data Protection Regulation (GDPR), takes effect. The GDPR gives individuals in the EU more control over how their data is used and places specific requirements on businesses to comply. You might be thinking that because you’re not in the EU, this doesn’t apply to you. Well, unfortunately that’s not true. 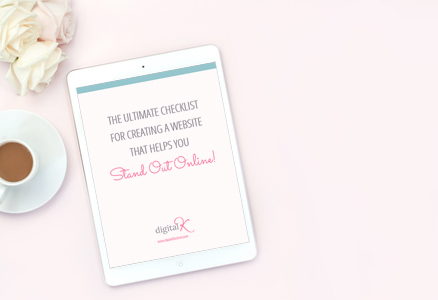 If you have a client, customer or even a newsletter subscriber who is from the EU… this does apply to you too! I’ve done a LOT of research over the past few weeks on how to comply with the new GDPR regulations. I’ve watched webinars, read blog posts and articles, joined Facebook groups, enrolled in courses… and pretty much soaked up all I can on this topic. What I’ve found though, is that most information is either way too difficult to understand — or it doesn’t give you the step-by-step instructions for what you need to do! But I have found a few really great resources that do help with this. And to save you some time (and pulled-out hair!) I want to share those resources with you. 8-Day GDPR Challenge – This started on May 16; but you can still sign up for this after that date and you’ll get access to all the previous emails in the challenge. 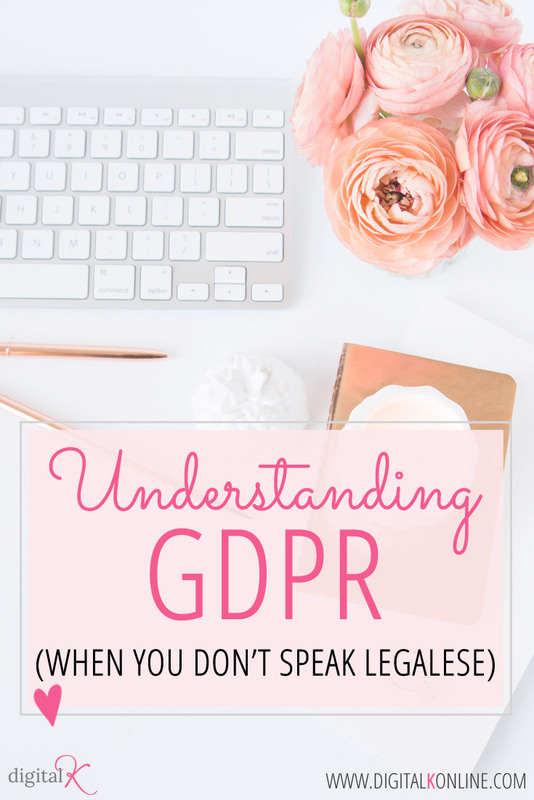 It may seem overwhelming when you start to think about all the factors that come into play when you’re trying to understand GDPR. So hopefully these resources help! 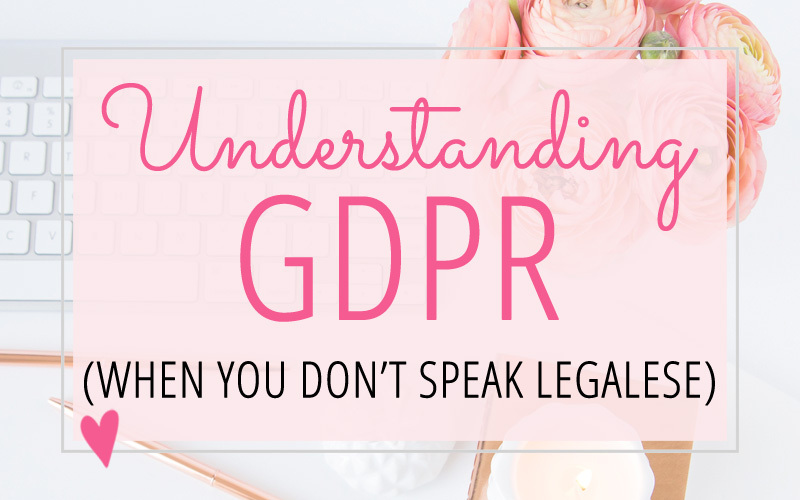 If you have come across any other helpful resources (that don’t require a law degree to understand) – feel free to leave them in the comments below!